THE EDUCATIONAL PROGRAM IS ABOUT ENCOURAGING THE YOUTH OF TODAY TO DREAM BIG AND SOAR HIGH. See below for accessing the free educational study guide. "The Will To Fly not only captivated the minds of 200 teenagers, it was able to motivate them to succeed as well as inspire them to do better"
"I have watched numerous motivational films. The Will To Fly stands out as a film which hits the mark. It displays many personal traits required for success including persistence, resilience, passion and an unbending will"
Click here to purchase the DVD with educational license. Currently available in Australia and New Zealand only. Please note the film is only available through cinema screenings in North America and the UK. Click here to book now. The study guide has been written primarily for secondary students in Years 7–12. It provides information and suggestions for learning activities in English, Health and Physical Education, Media, and Sport and Recreation. Study of The Will to Fly may also be of interest to students completing TAFE Certificate courses in the areas of Sport, Fitness and Recreation, and Psychology. The study guide is structured as a series of discussions about The Will to Fly. Teachers may select from the information and activities to support student's viewing and close analysis of the film. As a curriculum resource, the film expands and enriches student's understanding of human experiences. Students can discuss how individuals with commitment and vision such as Lydia can make a difference in their life, in their chosen field and in the lives of others. The Will to Fly also offers students the opportunity to develop a knowledge and understanding of the physical, mental, social and emotional health benefits of embracing sport as a participant and/or a spectator. In particular, the film endorses gender equality and the need for level playing fields, and encourages conversations about empowerment. 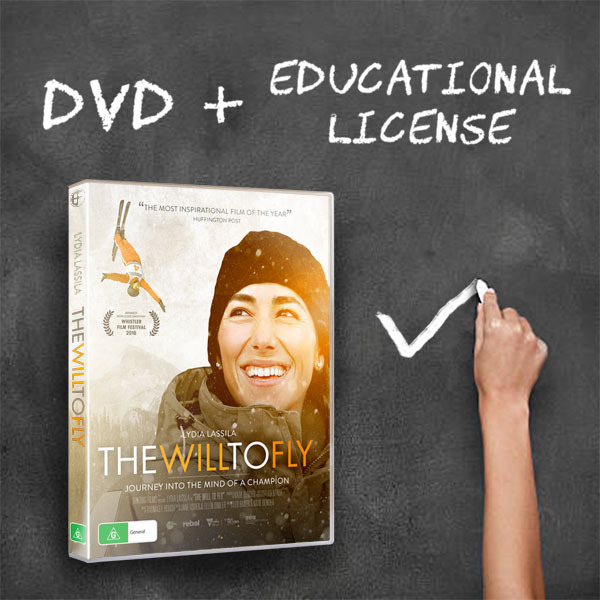 In addition, The Will to Fly can be used to discuss the use of the documentary format. Use critical approaches to analyse and interpret a film; - create a range of texts, make presentations and contribute actively to class and group discussions. Develop self-discipline, resilience, adaptability and initiative.